The traditional craft of quilting can be used to make many mathematical forms. While quilters have always used geometry to work out repeating patterns, some modern quilters go further in using mathematical objects as the subjects of their quilts. Here are two impressive examples by Sarah Mylchreest and Mark Newbold. 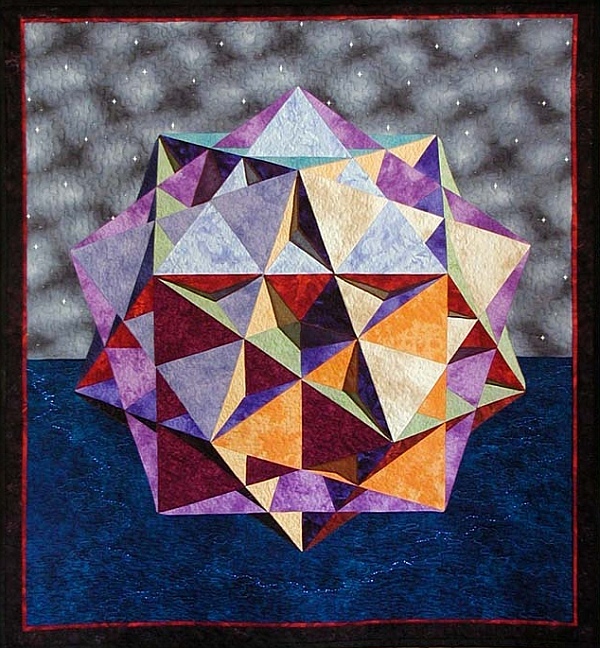 The above quilt (38″ x 42″) shows the great ditrigonal icosidodecahedron, a nonconvex uniform polyhedron consisting of twenty triangles and twelve pentagons. Although it is perfectly flat, it has a very 3D effect because the pattern includes some shadows. 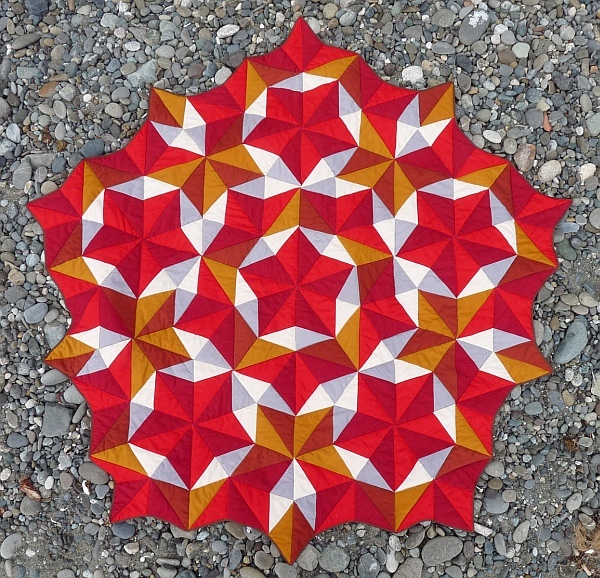 This 60″ quilt illustrates a Penrose tiling. It consists of just two shapes of pieces, both isosceles triangles, which join in pairs to make rhombuses. The pattern can be extended infinitely without exactly repeating. This article first appeared on Make: Online, August 16, 2010.